After two years of hype, the terribly named Batman V Superman: Dawn of Justice arrives finally in wide release this weekend. Warner Brothers needs this to be a monster hit badly, not just to kick off the DCU but because they need a hit movie…badly. The embargo on the critics was lifted late Tuesday and the response to the film has not been kind. Honestly, it’s no surprise to me. I’ve never been a Snyder fan. I think he’s always been style without any substance and I find his go-to themes troubling. Not only was Man of Steel depressing and dark, it fundamentally proved to me that Snyder did not understand Superman. 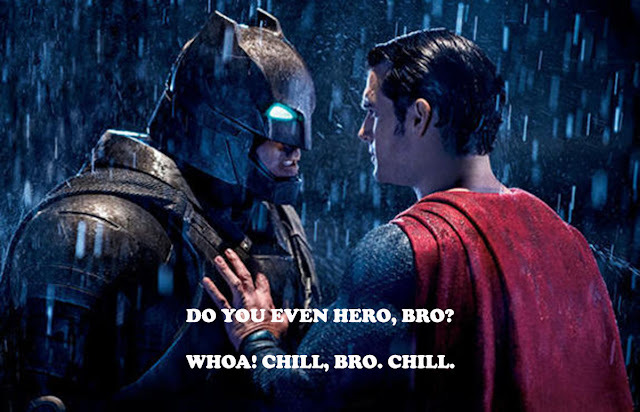 My prediction is that Batman V Superman will still have an okay opening weekend. Too many people have already bought tickets not to go. There’s plenty of people who just want to see $250 million dollars’ worth of explosions and mayhem. And a ton of neckbeards who, for some unknown reason, still fight the Marvel vs. DC fight. Plus, critical reviews only influence people who are on the fence. However, word of mouth will make a huge impact, the same as with Man of Steel. How large of impact will depend on whether the movie is as terrible as the critics say it is. And I suspect it is. Bruce Wayne’s parents were murdered by a “parasite” who wanted to take their wealth. After their death, Bruce refused the “sanction of the victim”.